Fact: While both fall under the umbrella of retinoids—the term used to describe a group of compounds that are derived from vitamin A—they are not the same thing. Although they work in similar ways, they aren't interchangeable. Because enzymes within the skin first must convert retinol into retinoic acid and tretinoin is already a retinoic acid, tretinoin works much harder and faster than retinol. Even the lowest strength tretinoin is stronger than the highest strength retinol product. Because retinol first needs to convert to a retinoic acid, it's a slow worker, meaning it can take weeks before it actually improves your skin. 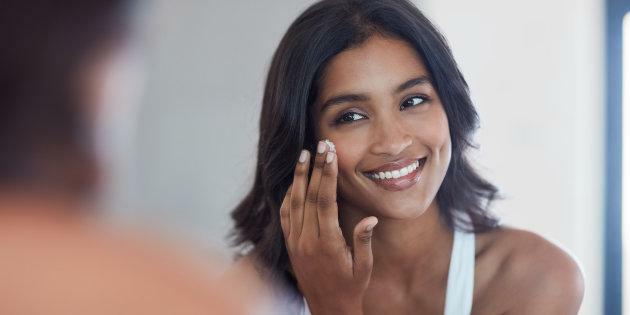 In the end, retinol is so easily oxidized that 95% of that conversion is lost in the process, so your skin won't get to fully benefit from retinol. 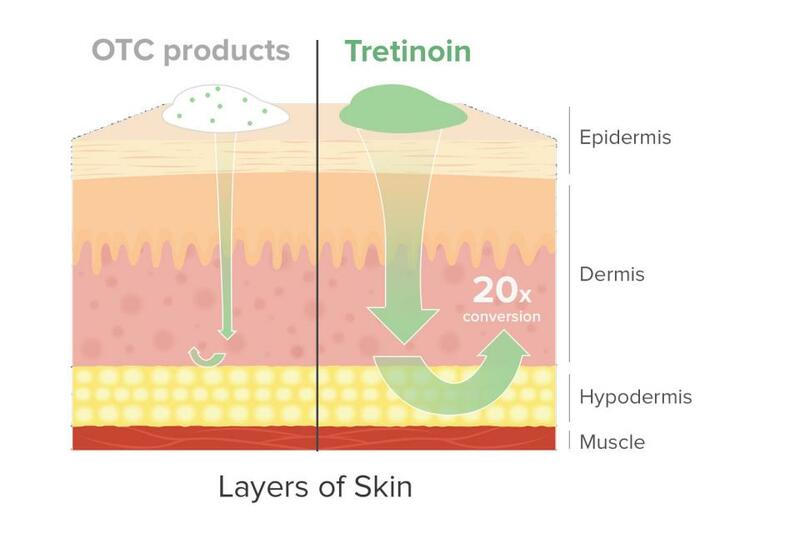 Fact: Anyone can use a tretinoin treatment, it's simply a case of speaking to a dermatologist to make sure you're prescribed the right dosage. Low concentrations of tretinoin will still give you the visible results you're looking for with little irritation. Fact: This just isn't the case. 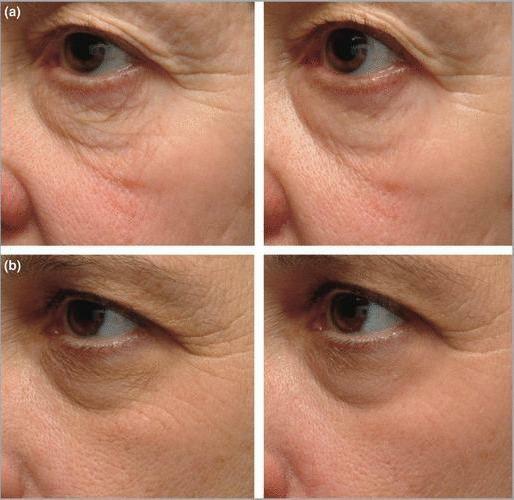 Tretinoin can be applied sparingly around the eyes with very little concern, and users have seen great improvement of wrinkles and fine lines in the eye area when using tretinoin. But because the skin around the eyes is thin and prone to dryness, tretinoin can be slightly irritating. To prevent irritation, avoid the eye area for the first couple weeks of using tretinoin to allow your skin time to adjust. Fact: It's important to be patient with any irritation you have when starting your tretinoin journey. A little bit of skin irritation is all part of the process, so you don't worry if your skin becomes slightly dry, flaky, or red when you first introduce tretinoin into your skincare routine. However, if your skin is really uncomfortable and super-dry, speak to your dermatologist about switching to a weaker, less concentrated tretinoin dosage. Pain is never a good thing. Fact: Dermatologists actually recommend adding an active ingredient such as tretinoin into your skincare routine once you hit 30 to prevent the visible signs of aging. Plus, even if you don't have wrinkles yet, tretinoin will help reduce the sun damage you may have gotten over the years and will prevent wrinkles and dark spots. Fact: It's not a good idea to use tretinoin in the midst of a rosacea outbreak. Otherwise, however, you shouldn't have any additional redness after the first couple weeks of use. 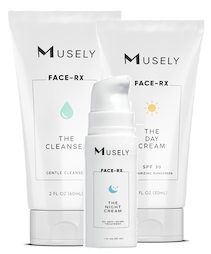 And, in fact, studies have found that tretinoin might even be a treatment for rosacea.